WASHINGTON, April 3 — Could humans regrow their limbs? Researchers are considering this possibility as they study the regrowth of tail fins and other organs in zebrafish. Zebrafish are a member of the minnow family that live in freshwater and are no bigger than two inches in length. Despite their small size, this fish has changed how scientists and researchers understand treatments for cancer, spinal cord injuries, and potentially the regeneration of limbs in humans. 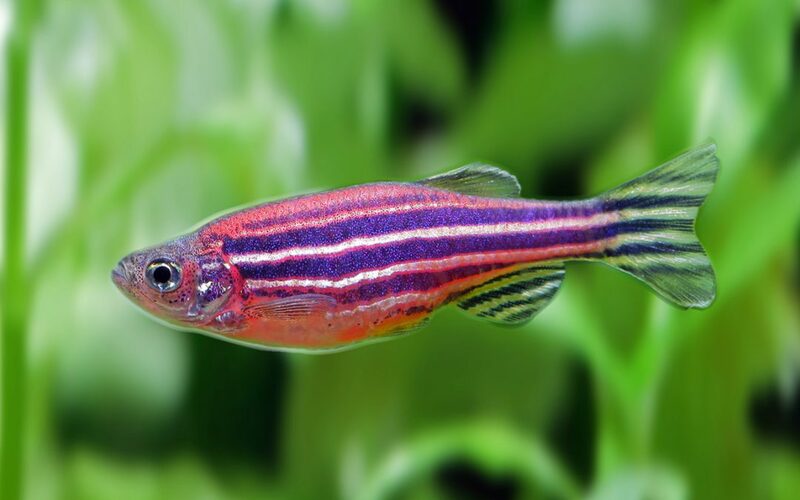 The study of zebrafish heart regeneration has led to conclusions about preventative and reactive measures to tissue breakdown in the human heart. In 2017, the National Institutes of Health (NIH) published its findings on how zebrafish research has influenced basic understandings of human scar tissue in the heart. Dr. Jon Lorsch is the director of the National Institute of General Medical Sciences at NIH and he said zebrafish studies are shaping the future science of regenerative medicine. Lorsch said scientists and doctors are questioning the possibility of human limb regeneration through zebrafish studies. According to NIH data published in 2016, grant funding applications for zebrafish studies have increased overall compared to other model organism research. Dr. Eric Glasgow is a researcher and director of Georgetown University’s Zebrafish Shared Resource, a database of findings related to the study of zebrafish and human diseases. He has studied zebrafish for over 20 years and he didn’t think limb regeneration was a remote possibility until now. Glasgow said the similarities in the cell types of zebrafish and humans have helped researchers test different treatments for diseases and focus on the regeneration of human tissues. “When you give these guys drugs, or you manipulate a gene you actually get the effect on the whole organism that reflects what you see in humans,” Glasgow said. Despite these new findings for human health, animal rights groups are concerned that zebrafish are harmed in the process of research. Vice president of laboratory investigations cases at the People for the Ethical Treatment of Animals, Dr. Alka Chandna, said that the overcrowding of zebrafish in tanks has a major impact on their social well-being and individual longevity. “Zebrafishes are social animals and so this kind of overcrowding can make a fish depressed they can become aggressive, certainly any type of social cohesion entirely falls apart,” Chandna said.Chandna also noted the lack of research dedicated to how zebrafish are impacted in regenerative studies. She said the similarities of human and zebrafish genes are not a sound basis for scientific research on these animals. “The differences are so great in the physiology that you really have to question the scientific integrity of using these animals in the first place,” Chandna said. For Glasgow, zebrafish are the future of this type of research and there are no alternatives to using them.